Papua New Guinea (PNG) has some of the most isolated communities in the world. In February 2018, the country’s remote highlands region was struck by a 7.5 magnitude earthquake, leading to loss of life, injury and severe damage to highlands towns and isolated villages. Australia provided immediate assistance in the form of relief supplies and the mobilisation of the Australian Defence Force to assist in the transportation and delivery of humanitarian supplies in some of the world’s most challenging terrain. In March 2018, the Australia announced a further $3 million of assistance through the Australian Humanitarian Partnership (AHP) to help affected communities re-establish their livelihoods, repair and rebuild infrastructure and restore water and sanitation services. The AHP activities have a specific focus on the needs of women, girls and people with disabilities. Through the AHP process, CARE Australia and the Church Agency Network – Disaster Operations (CAN DO) were chosen to implement response activities across the region, supporting the immediate relief and recovery needs of over 91,000 people. CARE Australia is supporting the immediate relief and early recovery needs of more than 33,000 individuals by providing water, sanitation and hygiene facilities, supporting livelihoods of affected communities and providing gender and protection assistance. Through the AHP, $1.5 million has been allocated to support these activities which will run from March 2018 to March 2019. An estimated 33,330 of the most vulnerable women, men, girls and boys, including those with disabilities, will have their basic water, sanitation and hygiene needs met through the construction of wells, latrines and hygiene messaging. CARE is also supporting 500 households (approximately 2,500 individuals) with livelihoods activities, restoring crops, distributing seeds, re-establishing food gardens, delivering basic tools and providing livelihoods training. More than 6,000 girls, boys, men and women, including those with disabilities, will also have access to information and protection services through the provision of gender and protection training and strengthened referral pathways for extreme cases of gender-based violence. Caritas / CAN DO is assisting almost 59,000 individuals with lifesaving water, sanitation, hygiene activities and shelter solutions targeting those most vulnerable. CAN DO is utilising its extensive community-based church networks to provide urgent response assistance to 40 remote villages in the Hela and Southern Highlands provinces. Through the AHP, CAN DO is providing rainwater harvesting systems, latrine systems and promoting important hygiene and sanitation messages to manage the potential outbreak of disease and illness among the displaced populations. CAN DO’s partners, the Catholic Church, the United Church PNG (UCPNG), the Evangelical Lutherans PNG and ADRA PNG, are also providing minor repairs to community buildings, clinics and schools in the 40 remote communities. 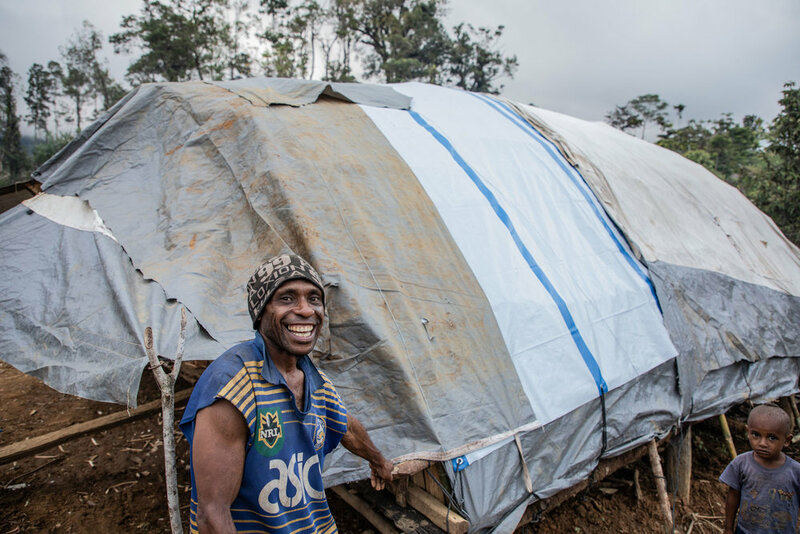 Repairs are being undertaken in accordance with recommendations of the PNG shelter cluster, which includes representatives from the PNG government, United Nations agencies and international aid agencies.